Authentic Gaming has signed a deal with Belgium online casino Golden Palace, to supply their live land based Roulette solutions to Belgium Players. 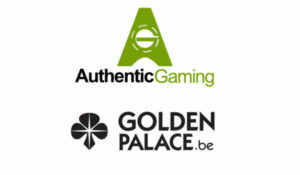 Under the deal, players at the Golden Palace online casino will be the first in Belgium to gain access to the supplier’s flagship Authentic Roulette games. This includes the innovative Casino Floor Roulette product and the ground breaking Live ARENA games via the Live ARENA studio based in Malta. Players will be able to experience Blaze Roulette, which encapsulates a game-show format that includes an LED-lit game table and a presenter rather than a dealer, plus TV production camera angles. 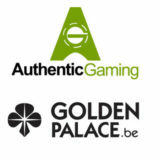 As part of the collaboration with Authentic Gaming, Golden Palace will also have access to LIVE banners. Golden Palace can use this unique video marketing tool to promote live casino across its website or on external affiliate sites. Thanks to this tool, which has already proven its success, Golden Palace will be able to greatly increase its daily users. “We have a good brand and presence in Belgium, both land-based and online. Thanks to Authentic Gaming, we can now bridge the gap between both, which adds significant value to our gaming services.